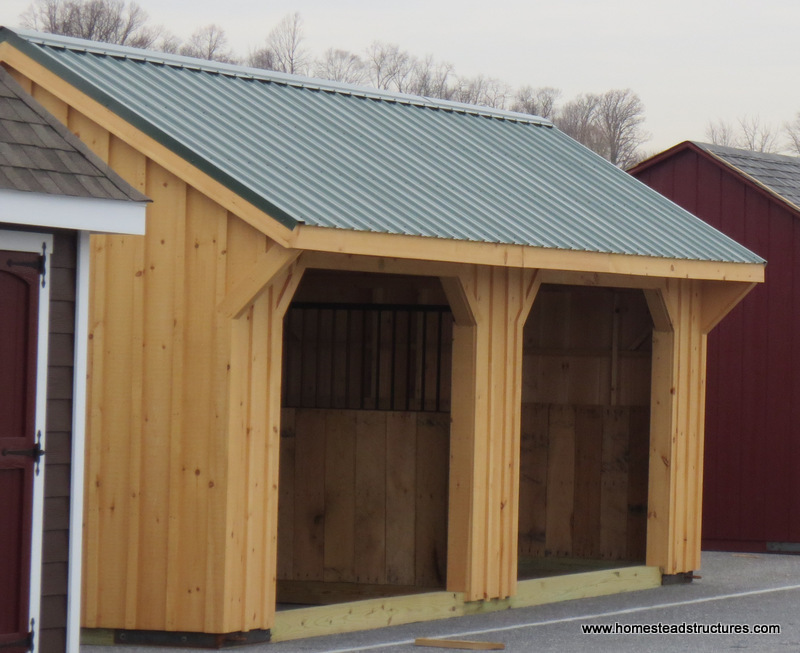 Our Horse Barns merge style and function for a beautiful addition to your property. Custom horse barns with loft, guest space, etc. Style and function are the two earmarks of a quality building. Together, we can create a functional design to add to the appeal of your property. That means a horse stable that not just satisfies your functional needs, but also the vision you have for your land. Protect your horses and other livestock. 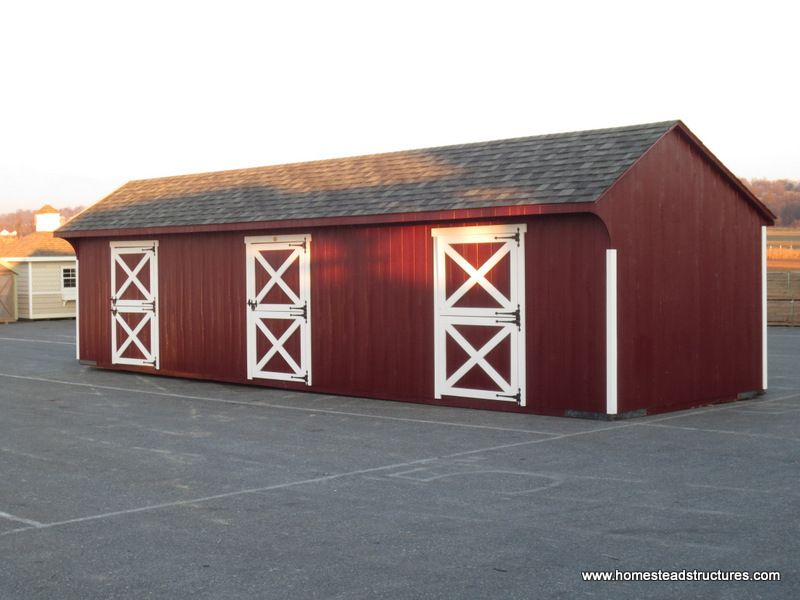 Provide storage for equestrian or farm equipment. Add space to groom and care for your horses. Increase property values by adding additional functional structures. Provide an upgrade to your current facilities. 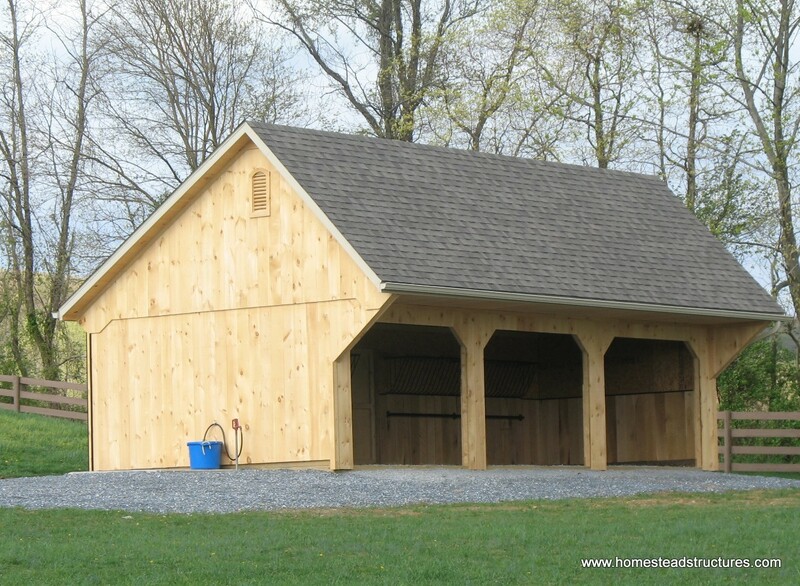 What will you use your horse barn for? 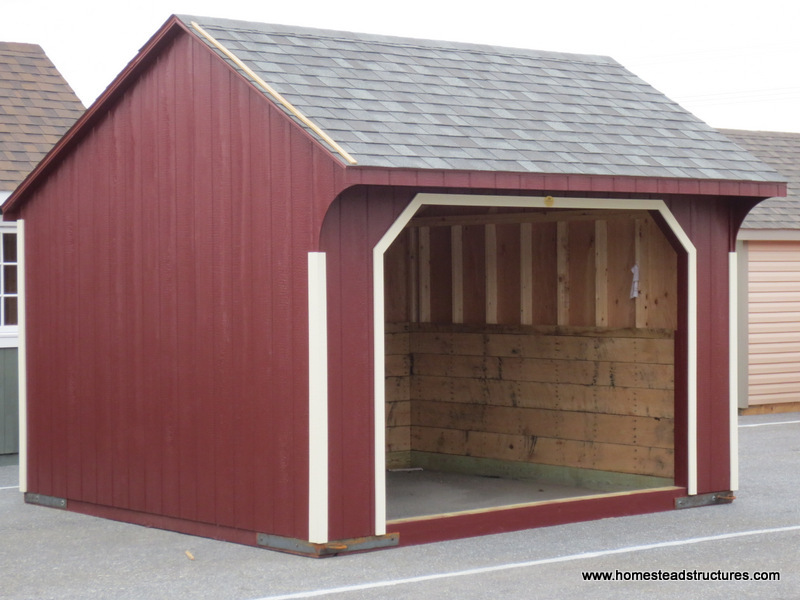 Are you just looking for a simple run in shed to provide shelter for your horses in inclement weather? 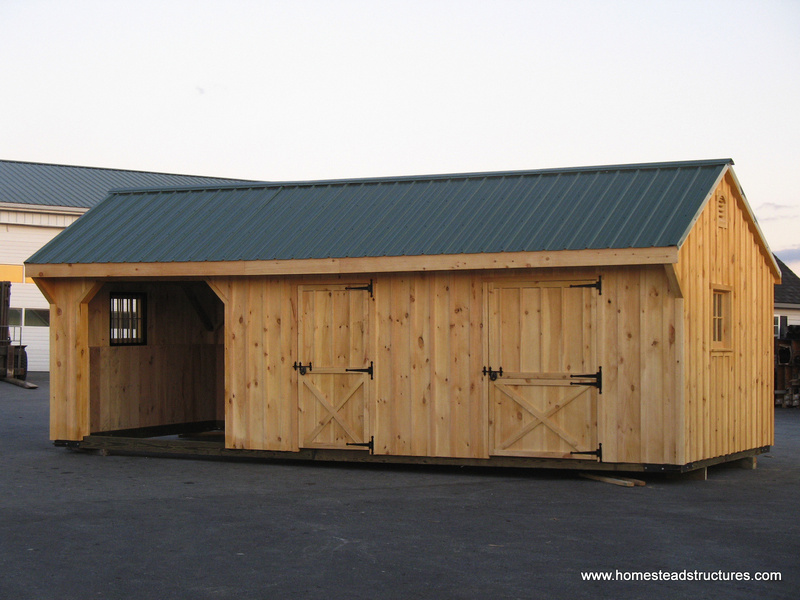 Or do you need a multi-purpose horse barn to board your equine, store your equipment and provide a tack room or office space? Whatever your needs, Homestead specializes in bringing you the building of your dreams. 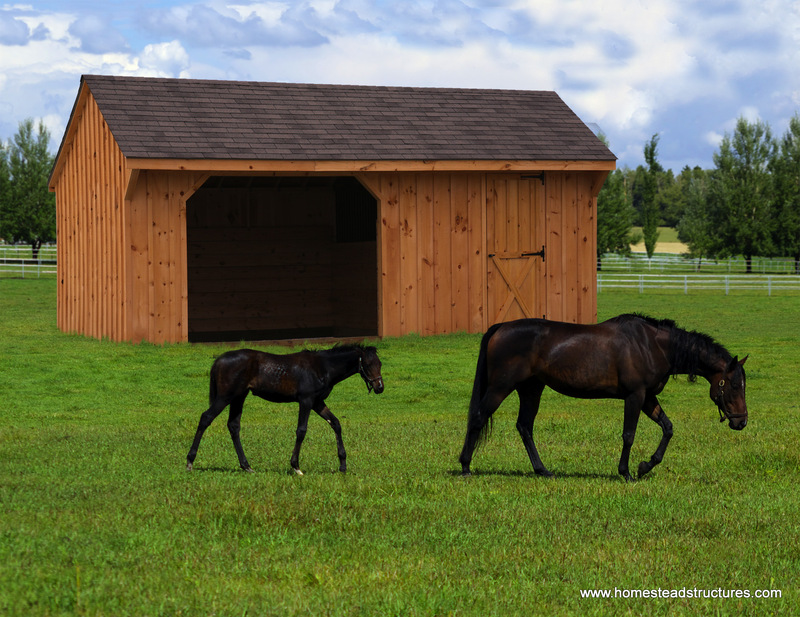 Contact us today or call 877-272-7252 to discuss your horse barn designs and plans, get a quote on your equine shelter, or simply learn more about our product offerings. Gina and I are beyond thrilled with what you folks have done. Most importantly, the young men here are among the best we have had the pleasure of working with and just meeting personally (showing her natural motherly and Italian heritage instinct, she took to young Merv to make sure "he had enough to eat, he's only a boy!!"). They are affable and engaging. Their work ethic is absolutely incredible, matched only by their skills and attention to detail. I cannot say enough about them and the product Homestead has provided. I've already passed on your contact info to 3 folks and plan to do more. Once again, a complete pleasure.